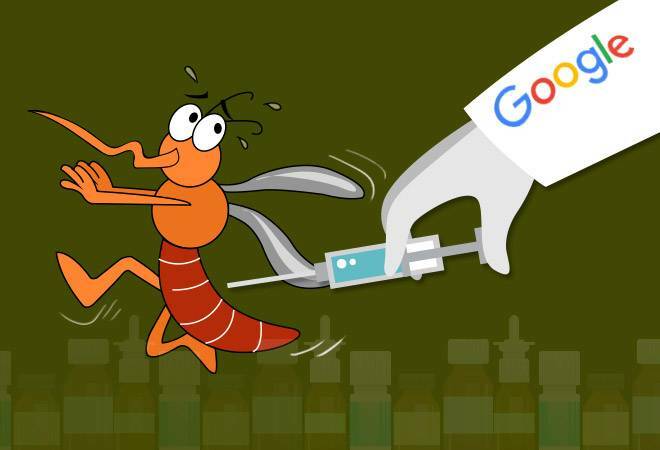 Google's parent Alphabet is working overtime to eradicate mosquito-borne diseases in the Fresno County, California. The project is being undertaken by Verily Life Sciences, a research organisation run by Alphabet. If the trials at the Fresno County succeed then Google will look to implement the method at places where such mosquitoes spread dengue, chikungunya and Zika that kill thousands of people each year. Verily plans to infect thousands of male Aedes aegypti mosquitoes with Wolbachia, a common bacterium, and release them out in the open. This breed of genetically altered male mosquitoes, which don't bite humans, would then mate with the females, and pass on Wolbachia. Now, if the female mosquitoes lay eggs, those eggs will not hatch! "When those 80,000 lab-bred Wolbachia-infected, male mosquitoes mate with their counterpart females in the wild, the result is stealth annihilation: the offspring never hatch", said Jacob Crawford, a Verily senior scientist, according to the Bloomberg report. Aedes aegypti is originally an African mosquito but is now found in tropical regions in more than 120 countries, including India. Meanwhile, Bloomberg says, "it is unclear what will happen if the mosquitoes are wiped out worldwide, though some scientists say they are unnecessary to the larger ecosystem". A similar study was conducted in northern Queensland, Australia and it was found that the population of mosquitoes in the trial release zones fell by more than 80% in just over three months.